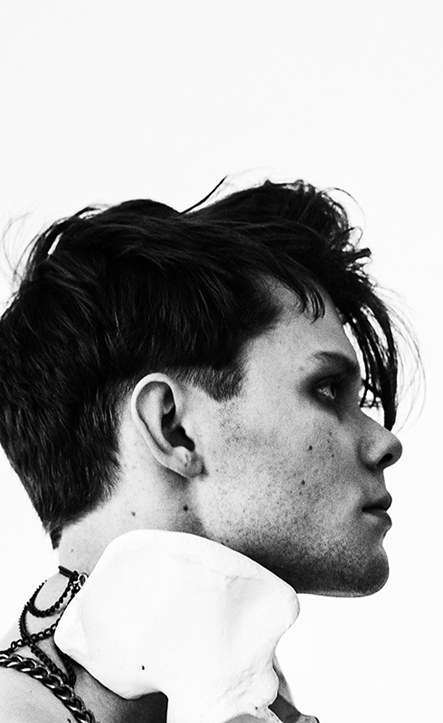 Pelvis Collar. 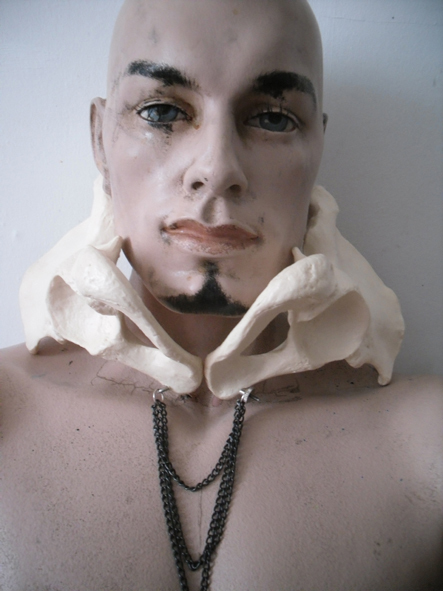 Collar made from human pelvis. Can be worn multiple ways. 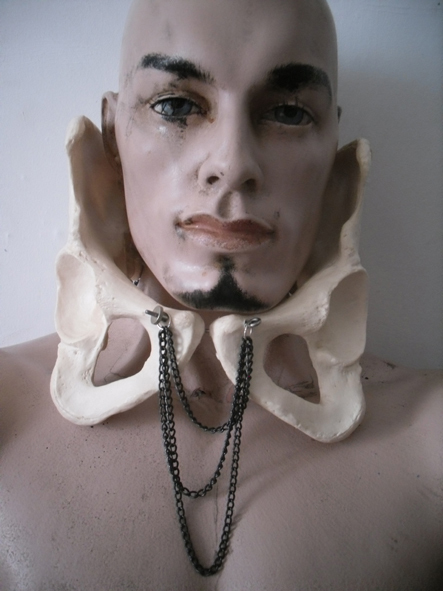 Spine Harness. 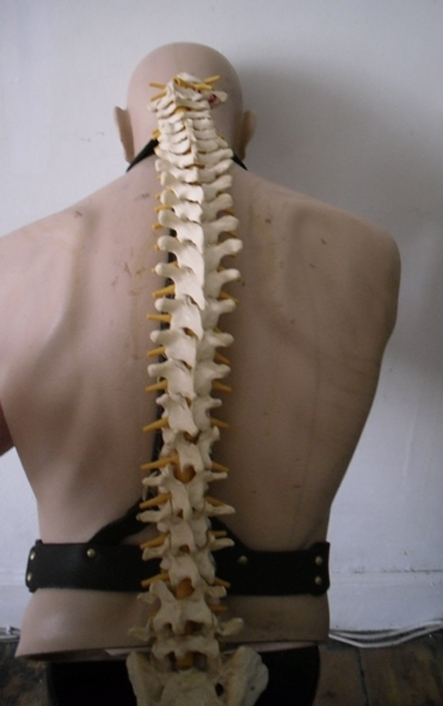 Harness which supports vertebrae above the skin. 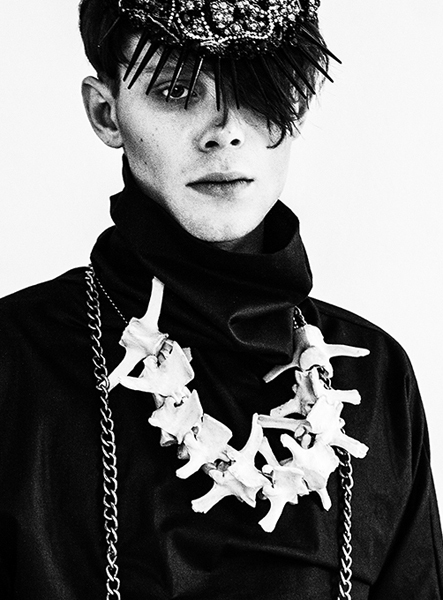 I was inspired by underwear worn as outerwear, and thought bones worn on top of skin might be a fun extension of this trend - bringing the hidden to the surface. 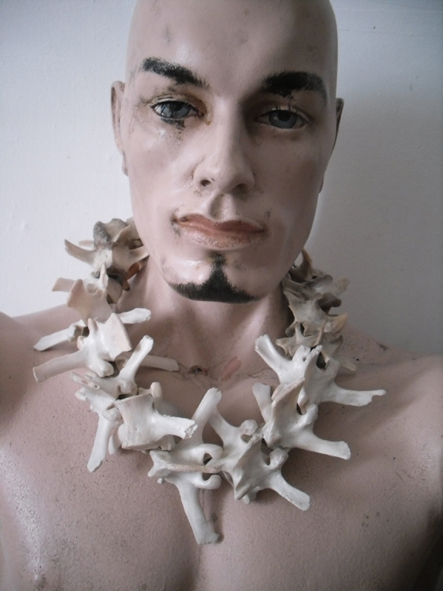 Vertebrae Necklace. Made for a Voodoo Witch Doctor costume. Crocodile Armour. 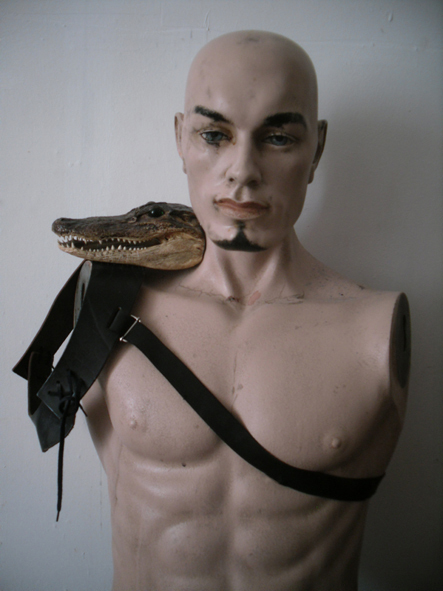 This vintage piece of taxidermy was found at a car boot sale and turned into an armoured shoulder pad. 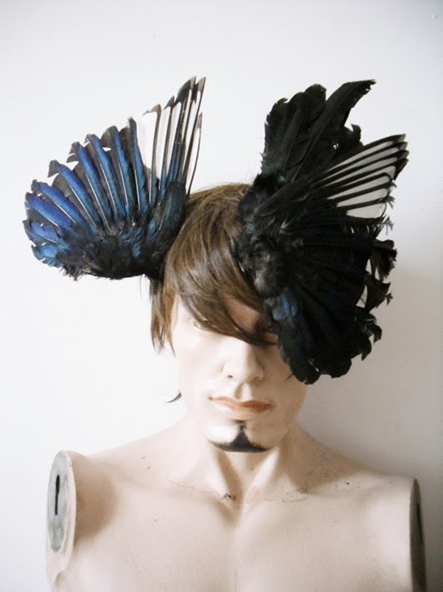 Winged Headpieces. Made from vintage magpie wings. These, along with all the other props from this Ryan McGoverne photoshoot I styled, were part of a marketing campaign for The Voodoo Rooms venue. 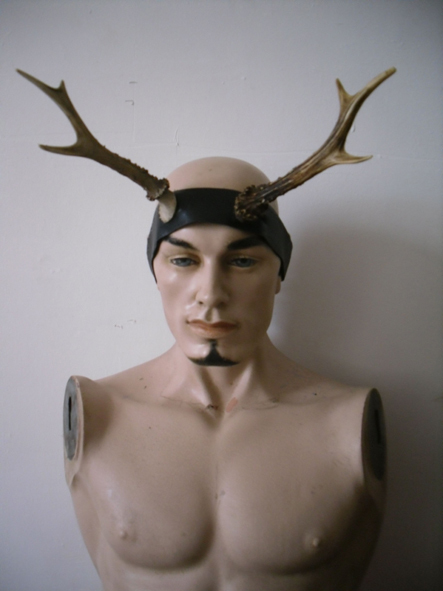 Antler Headpieces. 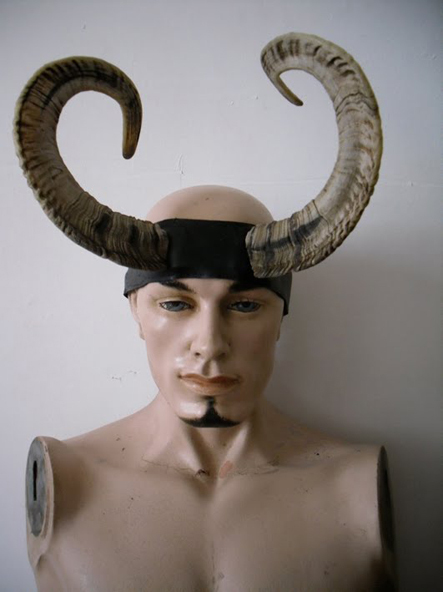 Found on hill walks, these horns and antlers were recycled into headpieces. 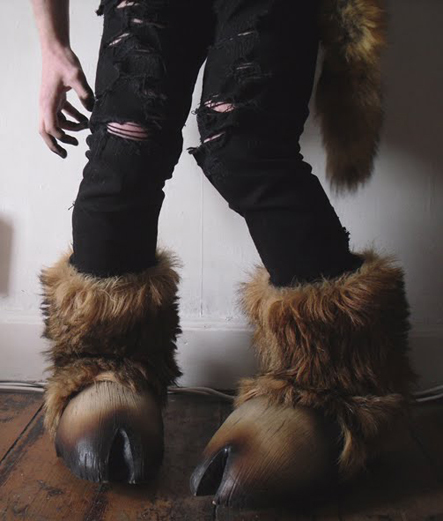 Monster Hoof Boots. Constructed for a 'Where the Wild Things Are' party. 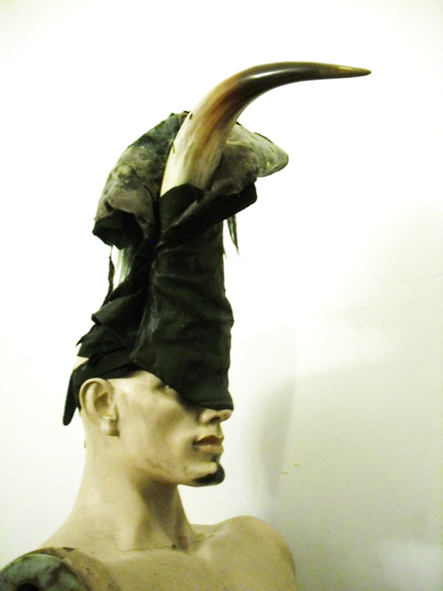 Minotaur / Unicorn Mask. 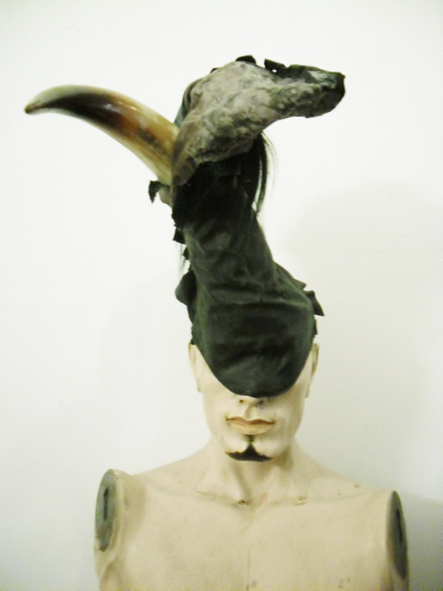 Inspired by Greek myths and legends, this is a one-horned Minotaur mask, part human and part bull - a twisted unicorn. 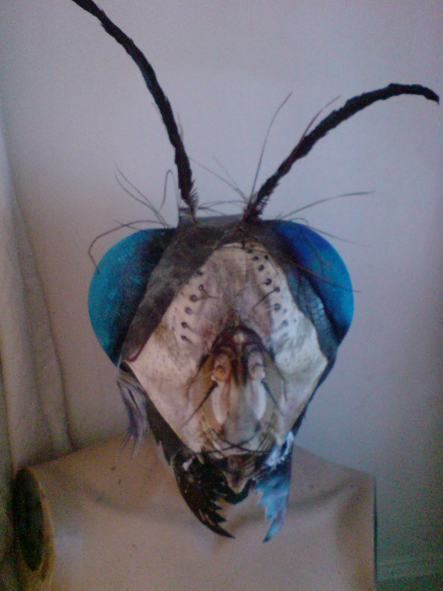 Fly Mask. 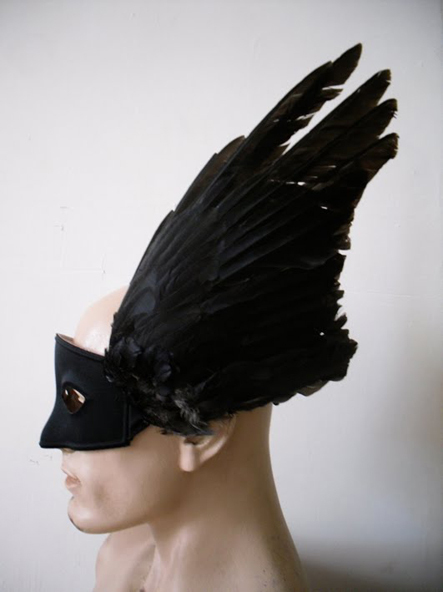 Inspired by 1950s B-movies, this was worn to a masked ball. 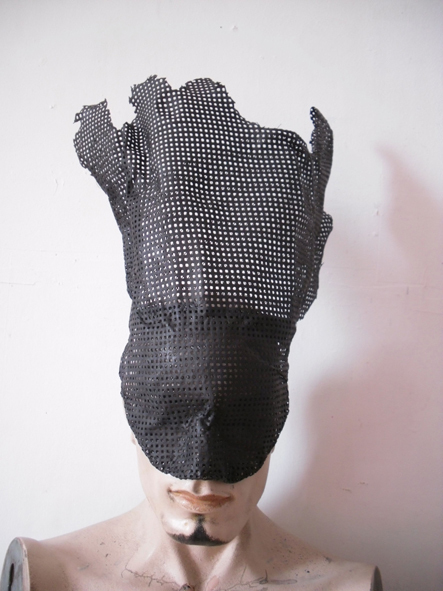 Perforated Leather Mask. Made from an offcut of perforated leather, this mask lets the person wearing it able to see perfectly, but disguises their face. 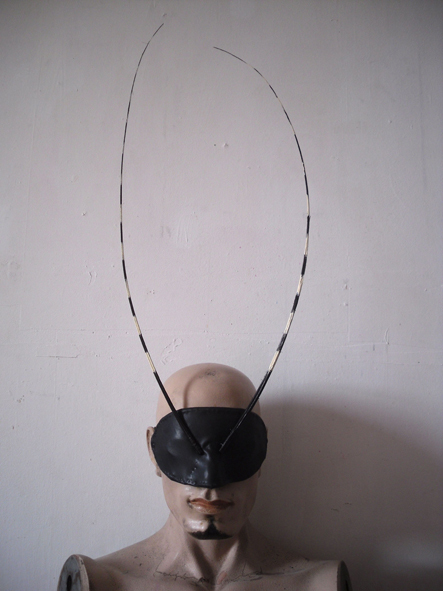 Rubber Insect Mask. The stripped ostrich feathers recall a Praying Mantis, Devil or antelope. 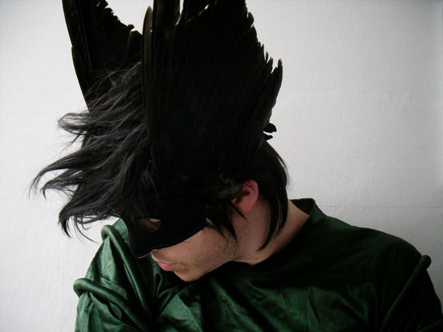 Black Glitter Bat Crown. 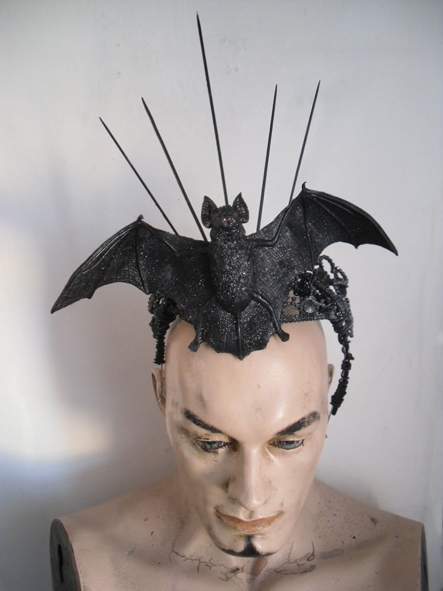 Made for Hallowe'en, this crown was made of several children's toys, and is fit for an Elvira-esque vamp.